My investment in transformers during the '80s isn't looking so hot in hindsight. Well it’s officially over. The golden era of investing is no more, at least according to McKinsey & Company’s latest research. “The forces that have driven exceptional investment returns over the past 30 years are weakening, and even reversing. It may be time for investors to lower their expectations.” According to McKinsey, the last 30 years of returns can be attributed mostly to happy coincidence. Does this sound familiar to you? It should. In 2009, PIMCO announced the dawning of the NEW NORMAL, an age where investors would be lucky to scrape up 8% returns. What actually happened? There was a wailing and gnashing of teeth. There were annualized returns of over 14%. An investment in the S&P 500 would have more than doubled. Wait. It turns out the NEW NORMAL wasn’t so bad (unless you managed money at PIMCO). It’s odd to think of 30 years ago as being the good old days. Fears of hyper-inflation. Gas lines. War in the Middle-East. S&L scandal. Maybe things were peachy on the East Coast, but here in the soon-to-be Rust Belt it was hitting the fan. There were plenty of reasons to fear the markets back then. This is an exercise in knowing the price of everything, but the value of nothing. It is a marketing piece advertising intelligence, not wisdom. It is indisputable that our lives today are better than they were 30 years ago. There have been incredible leaps in technology and healthcare. I can access the entire collected knowledge of the human race from a phone I carry with me in my pocket. We are using genetics to defeat disease on a microscopic level. My point is that we can’t even begin to imagine what the world will look like in thirty years, let alone predict stock market movements. 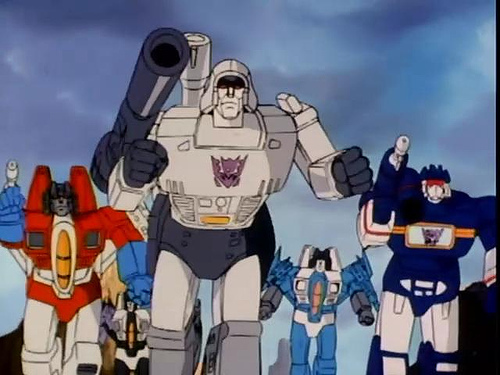 Also, I wish I invested all my birthday money in the stock market rather than blowing it on transformers.